The aim of the AFPS Nagai Distinguished Scientist Award is to honor the Founder President of AFPS, Prof. Tsuneji Nagai, by making an award to an eminent Asian pharmaceutical scientist whose research in the field of pharmaceutical sciences is particularly distinguished, at the AFPS Congress every other year. The Award Recipient receives the sum of 3,000 US Dollar, one complimentary registration to the Congress, and a plaque. The total cost of the Award is borne by The Nagai Foundation Tokyo. The Award Committee is composed of 7 members appointed by the Executive Committee. The Award Committee members should be chosen for their internationally recognized expertise in a discipline belonging to the pharmaceutical sciences, and should be well balanced across the different parts of Asia. The term of office is four years with no re-election. The chair is appointed by the Executive Committee. The Executive Director manages the selection processes for the Award, but has no voting rights. candidate to research in pharmaceutical sciences, preferably with one or two additional letters of recommendation of one page. 4-2) Officers of the AFPS Executive Committee and members of the Award Committee are not eligible for this Award during their term of office. a second round of selection, in which each committee member gives a score of 3 to the first choice, 2 to the second, and 1 to the third. The candidate with the highest total score in the second round is the winner of the AFPS Nagai Distinguished Scientist Award. If there is no winner (a two-way tie) a last additional voting round takes place between the two candidates with the same total score, in which each committee member votes for a single candidate. The winner of the Award has to be approved by the Executive Committee. If the Executive Committee disapproves of this candidate, the candidate with the second highest score is the winner of the Award. 4-4) If no suitable candidates are nominated (e.g. a majority of blank votes) the Award Committee may choose not to award this Award that occasion. 4-5) All nominations are to be strictly confidential, and are not to be divulged to anyone other than members of the Executive Committee and Award Committee. 4-6) The Executive Director will be responsible for informing the winner of the Award, and only after this may the members of both the Executive Committee and the Award Committee members divulge the identity of the winner of the Award. 4-7) The confidentiality of unsuccessful nominations is to be maintained. 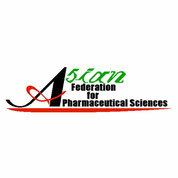 The announcement of the search for candidates for the AFPS Nagai Distinguished Scientist Award will be made before January 1 of every odd-numbered year on the website of AFPS, in major pharmaceutical journals, in scientific journals with a broader scientific readership as well as in the newsletters of major scientific organizations in Asia. The announcement of the winner of the Award (with a brief biography) will be published in some of the above-mentioned publications. The President shall inform the Council of the decision in writing. The Chair of the Award Committee shall report on the award at the opening session of the AFPS Congress and then the Award shall be presented to the recipient. The recipient will present the Nagai Distinguished Scientist Award Lecture at that Congress.